Are you a tough but tender person? 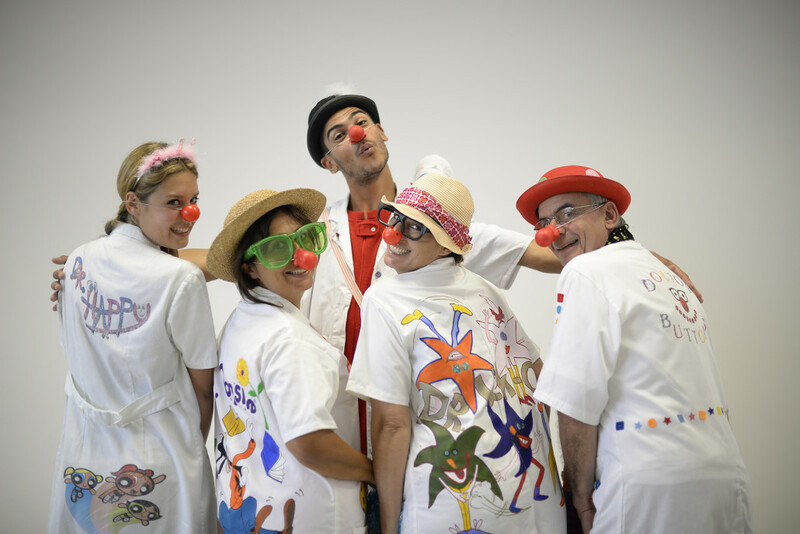 What does it take to be a clown doctor? Committed to give priority to regularly visit hospital, participate in training and events over personal, family or social activities. We are looking for reliable team players, who stick to agreed schedules and hospital rules, stay focused on their buddy clown and the sick child and are open to peers for constructive feedback. Applicants who fit the profile will be invited to an Information session before entering a thorough selection process with interviews and psychological tests. The initial training programme takes a full year (twice a month, Saturday mornings and weekday evenings). All applications will be treated with strict confidence. http://drklown.org/wp-content/uploads/2015/12/DSC8689.jpg 1183 1772 m7alpha http://drklown.org/wp-content/uploads/2015/12/logo_web.png m7alpha2019-01-28 09:14:532019-01-28 17:39:53Are you a tough but tender person?